Kosovo’s two main parties have signed a coalition deal to end six months of wrangling since an inconclusive election. 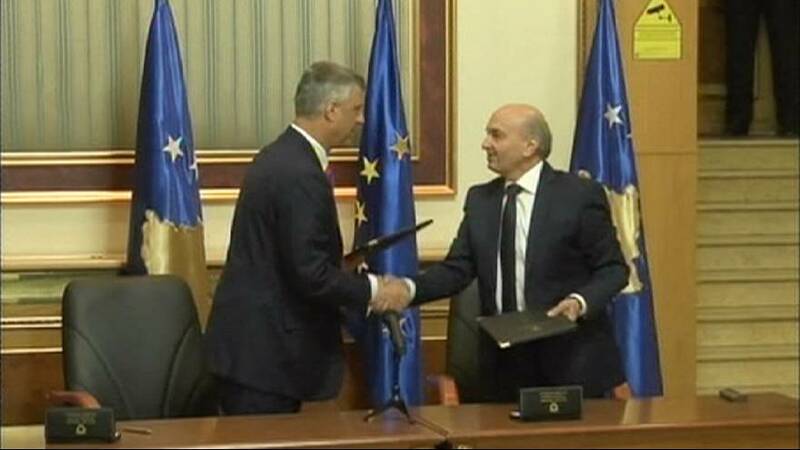 The agreement involves former Pristina mayor Isa Mustafa becoming the new prime minister with outgoing PM Hashim Thaci becoming his deputy and foreign minister. It ends the long-running disagreement between Mustafa’s Democratic League of Kosovo (LDK) and Thaci’s Democratic Party of Kosovo (PDK).